Liam Maaskant traded to Kitchener. - Very Barrie Colts | A website covering the Barrie Colts of the OHL. Home blog Liam Maaskant Trade Liam Maaskant traded to Kitchener. Liam Maaskant traded to Kitchener. 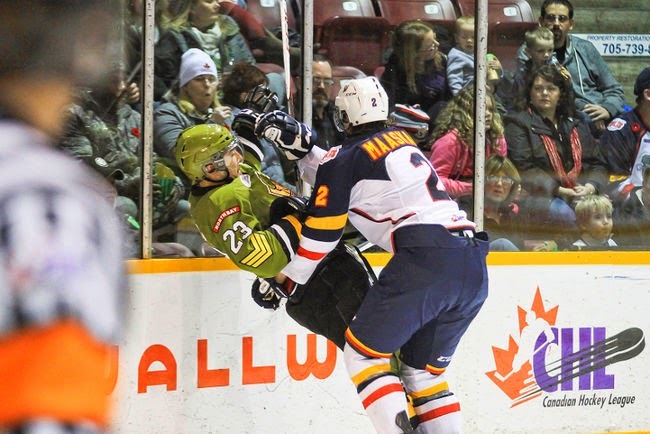 Today the Barrie Colts announced that they have traded defenceman Liam Maaskant to the Kitchener Rangers. In return the Colts acquire the 6th round pick of the Sudbury Wolves in the 2015 draft. Maaskant was drafted by the Otters in 2010. The Colts picked him up off of waivers in 2012. Since then, he has played 63 games and appeared in 11 playoff games for the Colts. He has played 63 regular season games as a Colt and has put up 3G, 7A and 71 PIM in that time. He has appeared in 130 OHL games (with the Colts and Otters). In that time he has totaled 145 PIM and 18 points. We would like to wish Liam the best of luck in Kitchener.